The house she made me was so cute. I loved the roses around the door. Three crochet dishcloths. I love the strawberry one I've made quite a few of those from a free tutorial here. These are the extras I sent. I picked the tea towels as they have the cutest birds on even a robin. 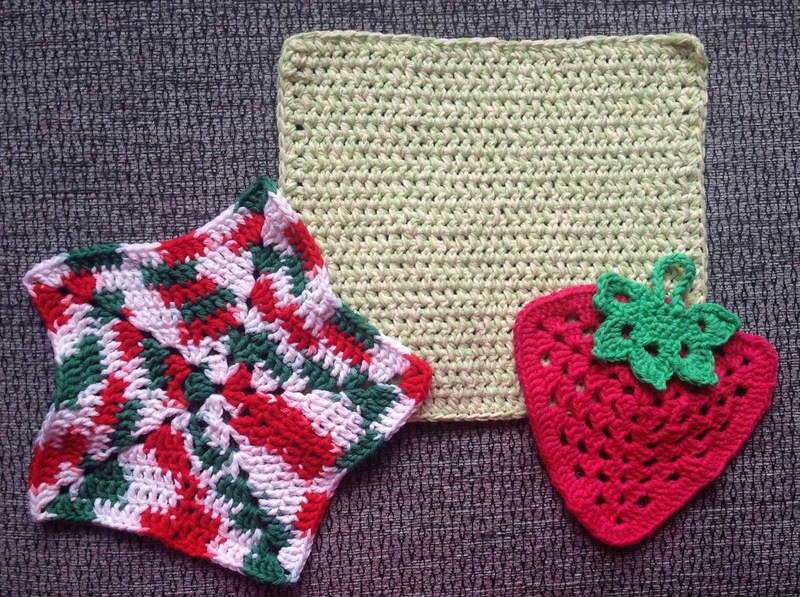 Hi Melanie, what a lovely idea - your strawberry dishcloth is the cutest! oh I love everything you both swapped. 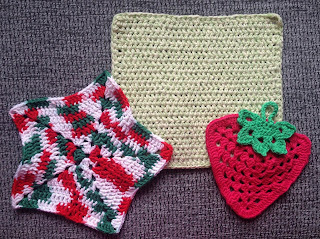 Your strawberry dishcloth is so sweet as is the tea towels. I love tea from other countries too. Thanks for taking part in the swap.